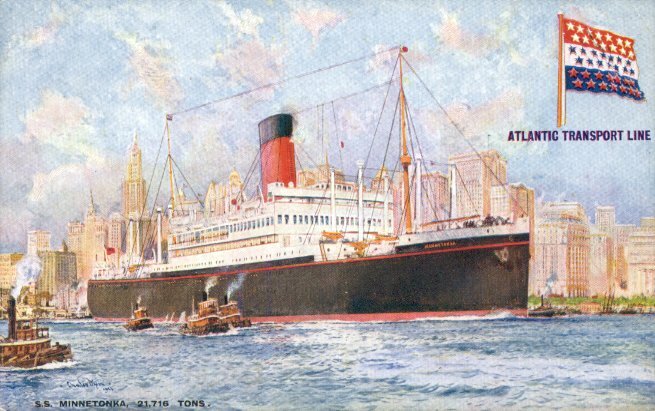 Built by Harland & Wolff of Belfast, Atlantic Transport's second Minnetonka was primarily a cargo carrier, although she carried accommodations for 369 first-class passengers. 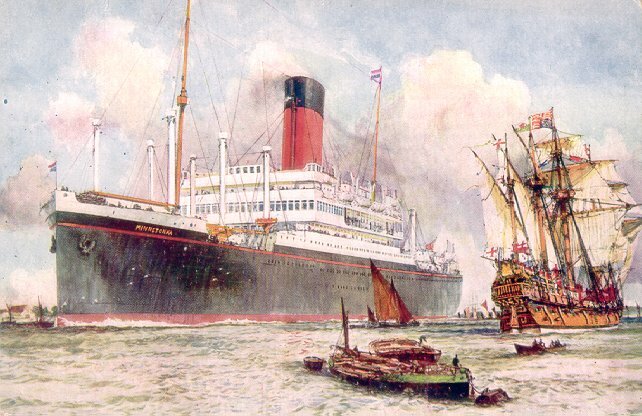 Launched in January 1924, she took her maiden voyage from London to New York on 3 May of the same year. 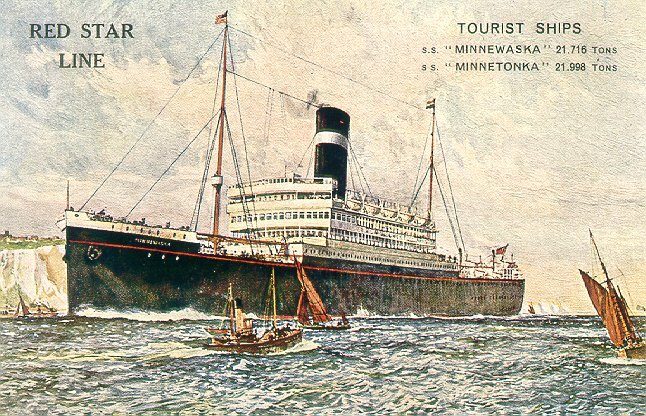 In 1932, Minnetonka was transferred to the Red Star Line, and her passenger capacity was reduced to 413 tourist class accommodations. Repainted in Red Star livery, but still bearing her ATL name, Minnetonka made twelve Antwerp-New York sailings for Red Star between May 1932 and September 1933. She was then laid up at Antwerp until she headed for the shipbreakers at Bo'ness in November 1934. Sources: Bonsor's North Atlantic Seaway; Kludas' Great Passengers Ships of the World; Haws' Merchant Fleets.